Make your veterinary furniture easily height adjustable . 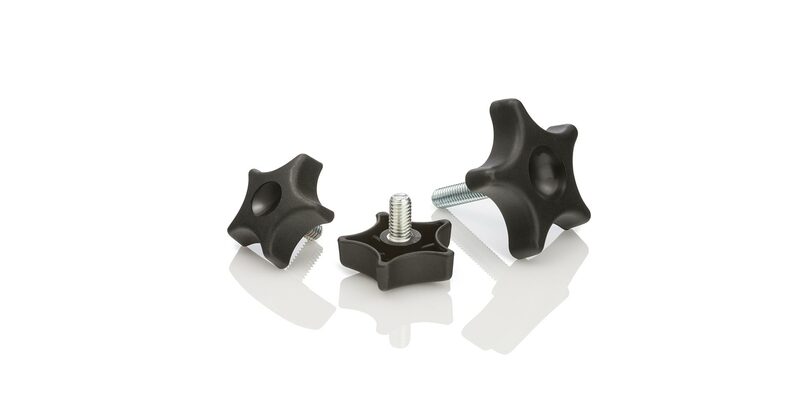 Rigid adjustable feet are available with conical, knurled, hexagon, or low height bases. Applications: Storage units, diagnostic equipment, furniture. Options: Various threads and a choice of base design and diameter. Load capacity : 100kg to 500kg. The stem turns in the base for adjustment of heavy applications whilst under load. Applications: Veterinary, storage units, shelving. Load capacity: 500kg to 2000kg. Enable height adjustment for applications with angled legs. Stems tilt up to 20° from perpendicular. Applications: Veterinary tables and furniture. 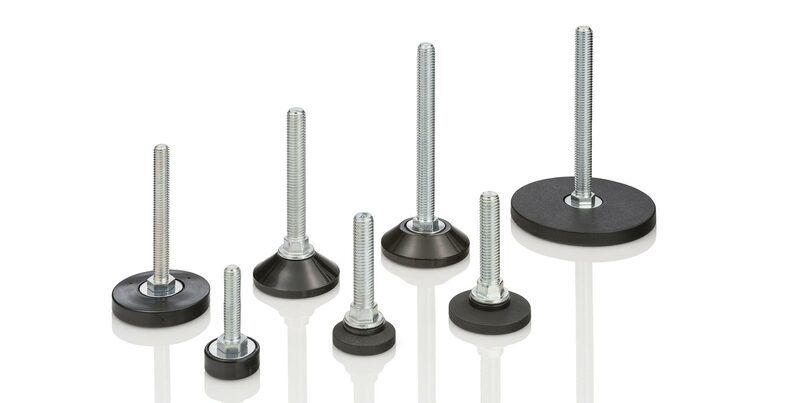 Options: Various threads and base diameters. Load capacity: 50kg to 250kg. 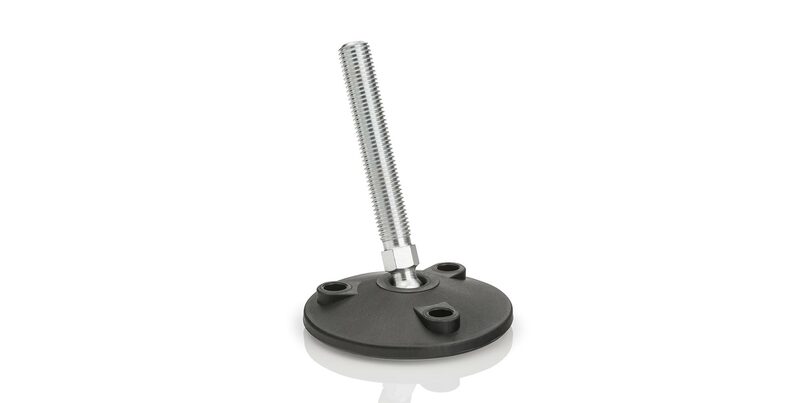 Handle shape designed to make your product easily adjustable. Applications : For hand adjustment of locking pieces e.g. telescopic or adjustment applications. Standard colour: Black. Colours on request. Robust and durable materials used, to support heavy equipment. 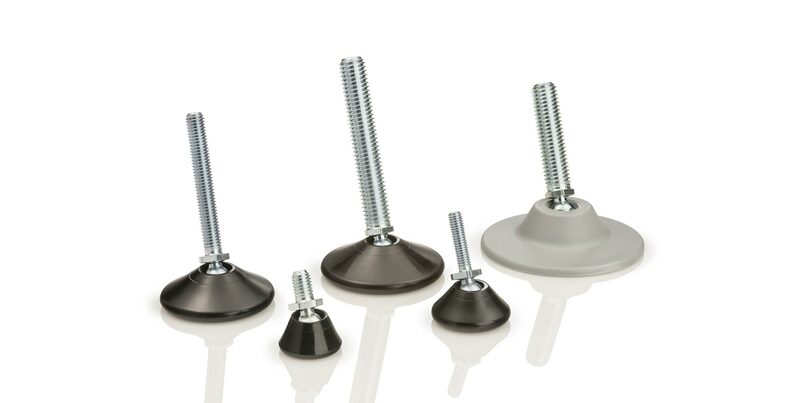 Heavy duty adjustable feet designed for large scale veterinary equipment. Options: Various threads. Available with a soft foot pad to prevent slipping. 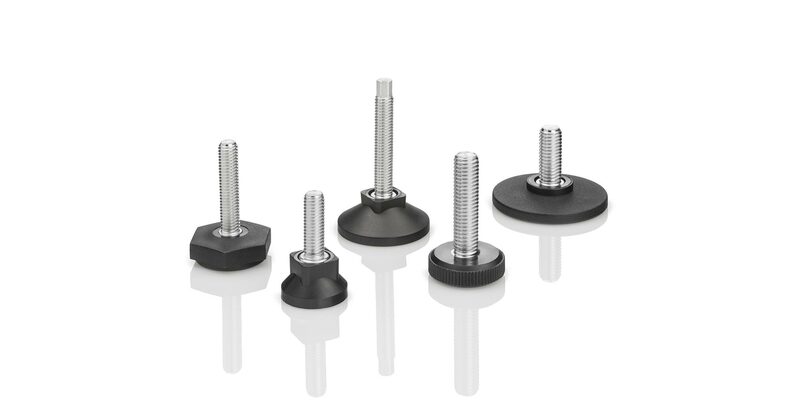 Blanking plugs can be supplied to close off the fixing holes. Load capacity: 750kg to 1000kg.